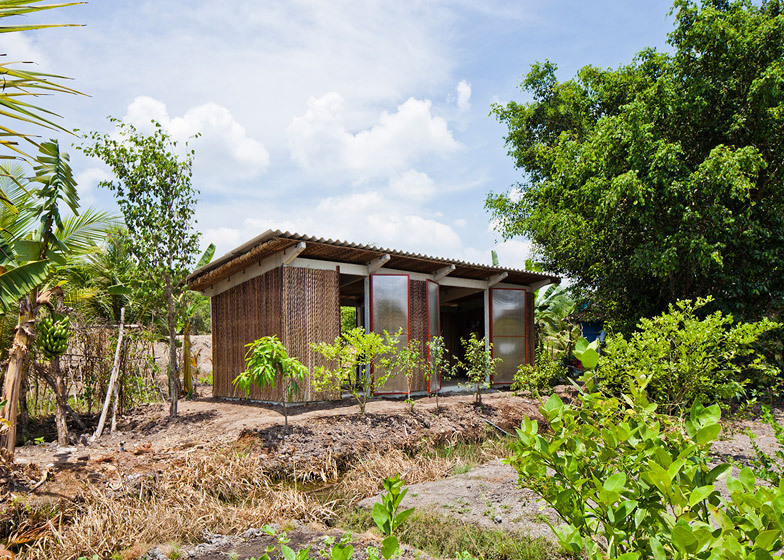 Vo Trong Nghia Architects has revealed its second-phase prototype for an affordable and low-maintenance dwelling for Vietnam, as part of a project aimed at solving the country's housing crisis (+ slideshow). 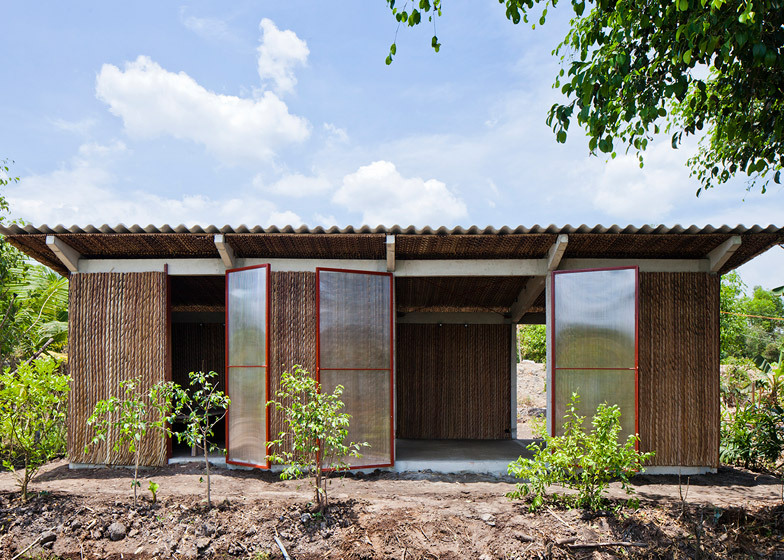 The new prototype, known as S House, has been unveiled by Vo Trong Nghia Architects two years after the Vietnamese firm presented its first low-cost buildings, which were designed to offer permanent residences for less than £2,500 each. While the original design featured a lightweight steel frame, the new structure is built from precast concrete, which the architects believe offers greater long-term stability. "The concept of the second prototype is to combine modular components and DIY strategy," they said. 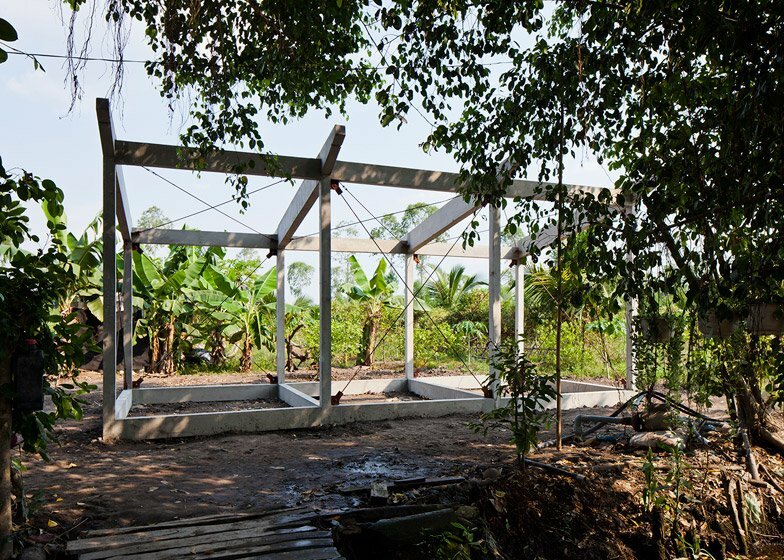 "The lightweight structure allows smaller foundations and transportability by small boats, since waterways are still the dominant transportation in Mekong Delta." This south-western Vietnamese region, at the mouth of the Mekong River, is where the project is largely aimed at. Both this house and the original dwelling prototypes were built in Long An. 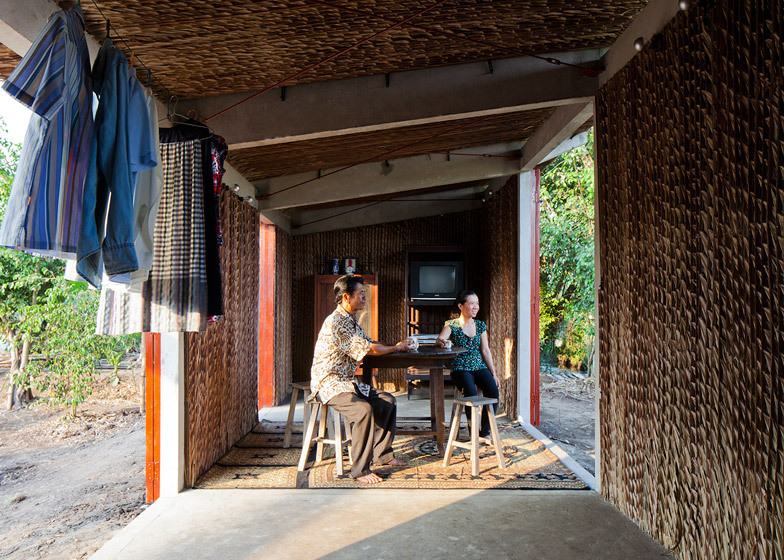 "People in Mekong Delta with an average income under £60 per month mainly live in cheap temporary houses. Ironically, poor structures result in high maintenance fee. 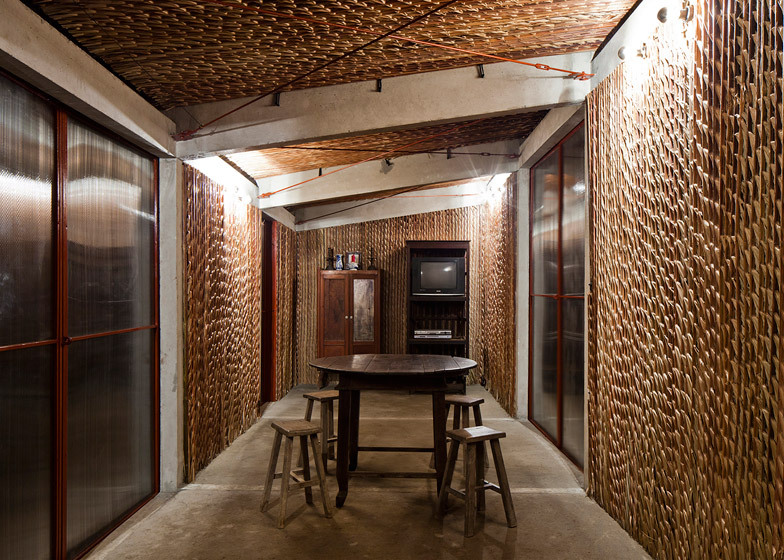 Therefore, low-cost but permanent housing is an urgent social issue here," said the architects. 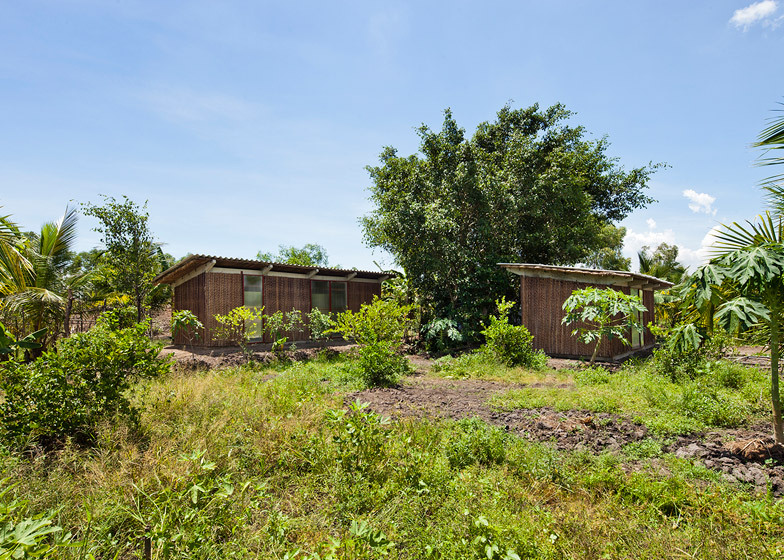 According to the team, many of these houses have areas of less than 10 square metres. 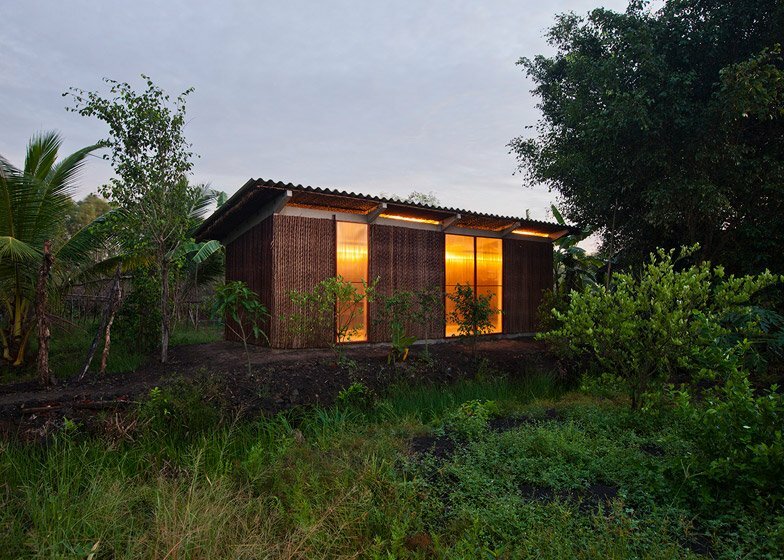 The S House offers more than triple this, creating a generous space that can be subdivided into four. 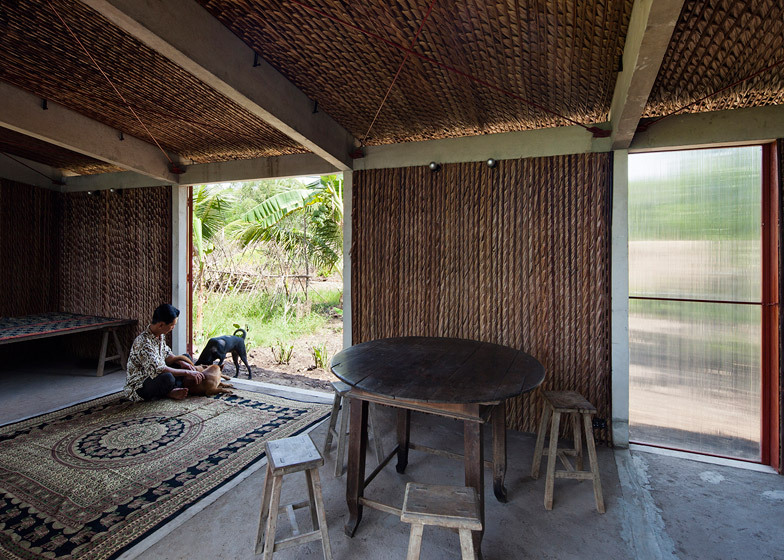 A double-layer roof made up of corrugated cement and locally sourced nipa palm leaves ensures the building is sheltered from heavy rainfall, while a gap between the walls and the roof edge allows plenty of natural ventilation to penetrate the interior. 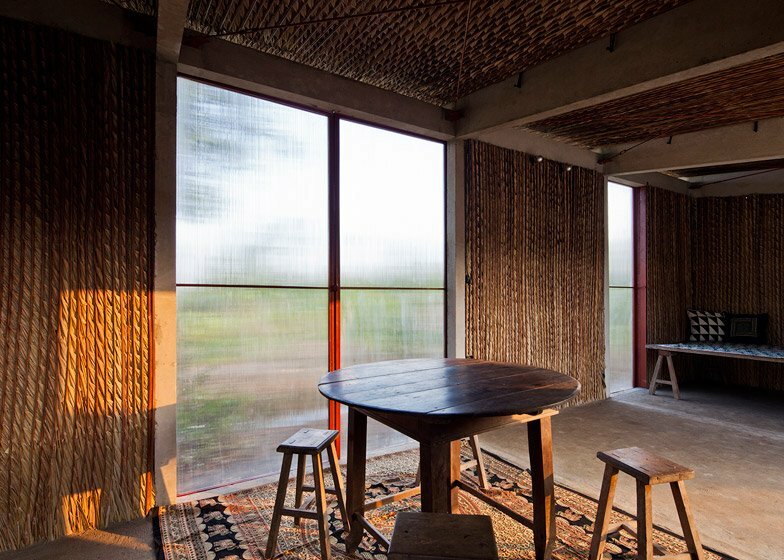 "To cope with harsh weather of the region, the project utilises passive design strategies," said the architects, whose projects also include a house covered in plants and a thatched bamboo dome. "Since nipa palms cost next to nothing in Mekong Delta, it is not only a familiar material to the locals but also in harmony with the surrounding scenery," they said. 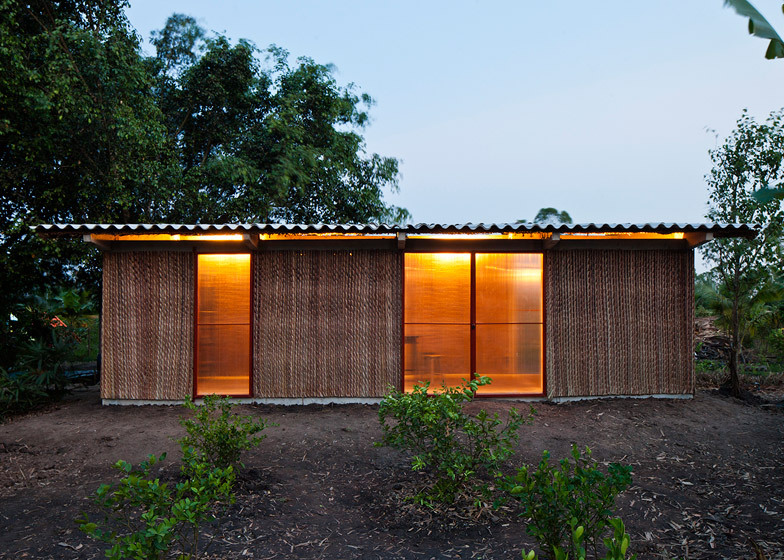 Polycarbonate panels provide a series of doors that would allow residents to open their homes out to the surroundings, but also help to bring enough natural light inside. The rest of the external surfaces can be clad in a choice of low-cost materials – the idea is that residents will be able to easily and cheaply replace these themselves when necessary. 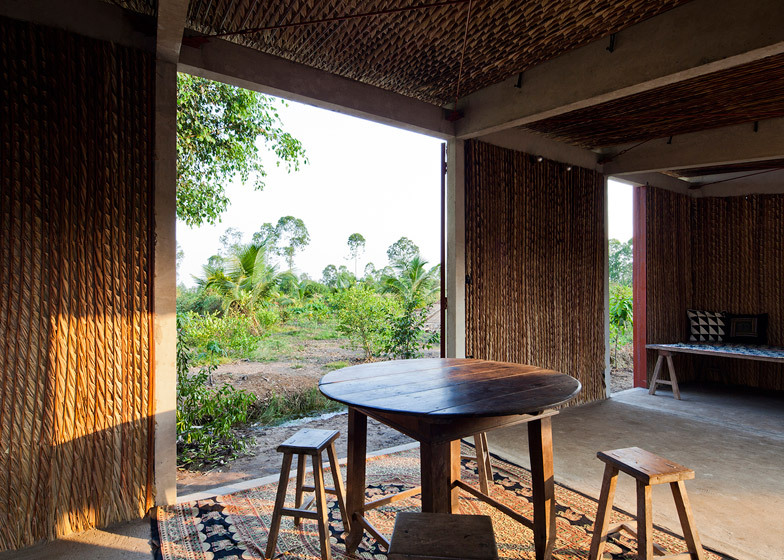 Vo Trong Nghia Architects is now working on a third iteration of the design, which will aim to further increase durability, using a lighter structure and simpler components. 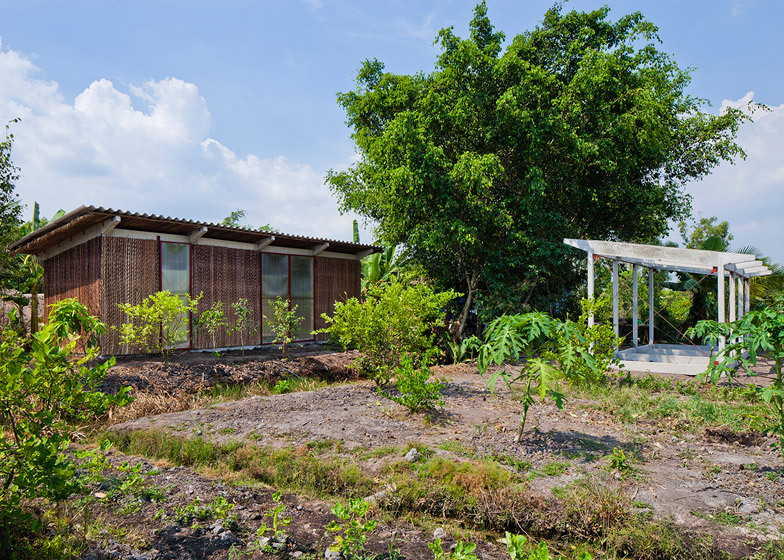 The project was featured as part of the television series Rebel Architecture, a six-part documentary profiling architects using design to tackle the world's urban, environmental and social crises.